Making candy is sweeter with the OXO Good Grips Candy and Deep Fry Thermometer. 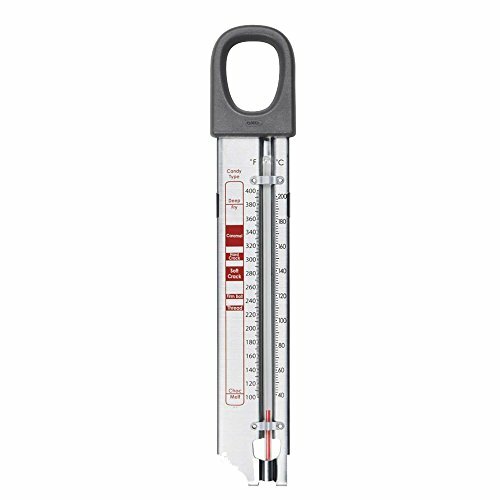 This glass Thermometer is offset to allow for large, easy-to-read graphics, which include temperature ranges for different candy types. The measurement markings temperature within two degrees in F and C for accuracy. The convenient clip is extra long to make it easy to attach, remove or adjust and the rounded foot helps prevent scratching on the sides or bottom of your pot. The large opening in the handle allows you to lift the Candy and Deep Fry Thermometer out of the pot using a utensil and the durable, stainless steel body is easy to clean. This Thermometer isn't just for candy! It's also great for measuring oil temperature for deep frying and for making jellies and jams. 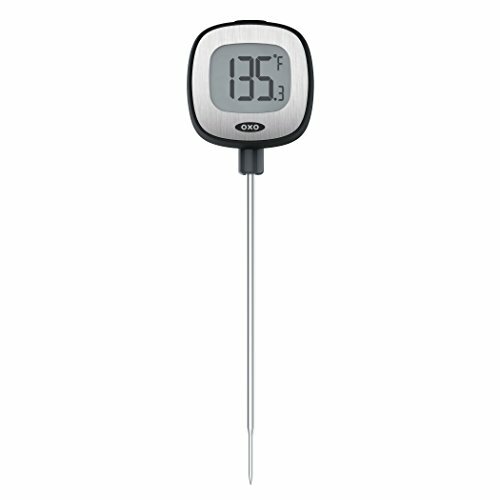 The OXO Good Grips Digital Instant Read Thermometer takes the guesswork out of cooking meats to your desired doneness. Simply turn on the Thermometer and insert the stainless steel probe into cooked meat, avoiding the bone. The wireless Thermometer’s LCD display features large, easy-to-read digital numbers. Chef-recommended internal temperatures are listed on the storage sleeve and can be singled out for error-proof reference. Use the button on the back of the Thermometer to switch from Fahrenheit to Celsius. The Thermometer has a temperature range from -40 degrees F to 302 degrees F (-40 C to 150 C) and includes a battery. Ideal for beef, pork, poultry, lamb, veal and more. 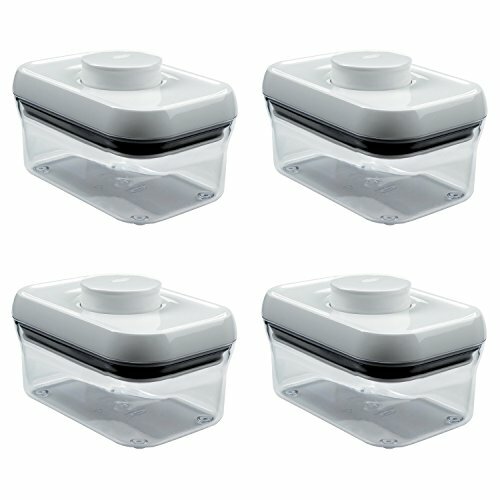 This set contains 20 OXO Good Grips POP containers that are ideal for storing a variety of dry foods. Set includes: (4) 2/7-quart-ideal for spices, dried chilies and bouillon, (4) 1/2-quart-ideal for tea bags, candy and sugar cubes, (4) 8/9-quart-ideal for a standard 1-pound box of brown sugar or nuts, (2) 2-1/9-quart-ideal for spaghetti, linguini and lasagna noodles, (2) 2-2/5-quart-ideal size for cookies and crackers, (2) 2-1/2-quart-ideal for rice, pasta and breadsticks, (2) 4-quart-ideal for 5-pound bag of flour or sugar. 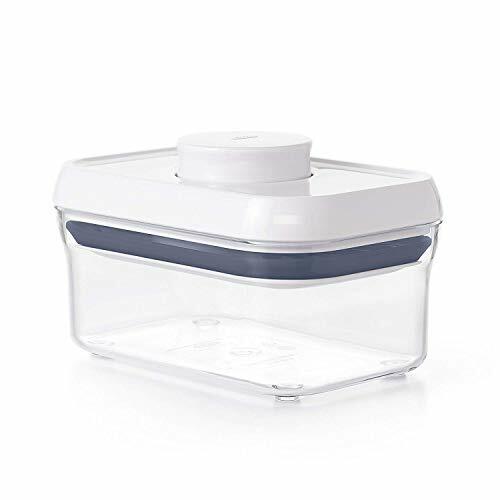 The OXO Good Grips POP containers are airtight, stackable and space-efficient, making it easy to keep your dry foods fresh and your kitchen organized. 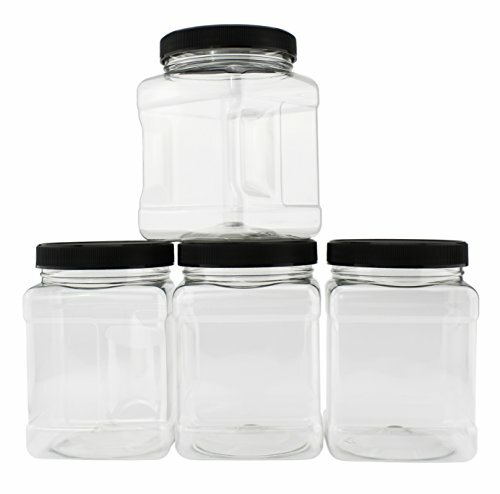 The containers have a unique push-button mechanism that creates an airtight seal with just one touch. The button also serves as a handle to lift off the lid and the lids come apart for thorough cleaning. In fact, the containers can be used in so many places that you'll want them Popping up everywhere. 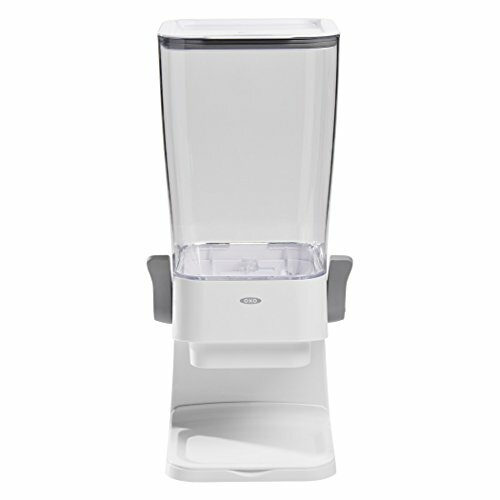 Conveniently store and dispense your favorite cereal with the OXO Good Grips Countertop Cereal Dispenser. The chute-design opening won't crush cereal as it is dispensed and the spring-loaded, non-slip levers allow for controlled, one-handed dispensing. The levers are on either side of the Dispenser to accommodate right- and left-handed users. Two silicone seals on Canister lid and inside Dispenser help keep cereal fresh and the removable tray keeps countertops clean. 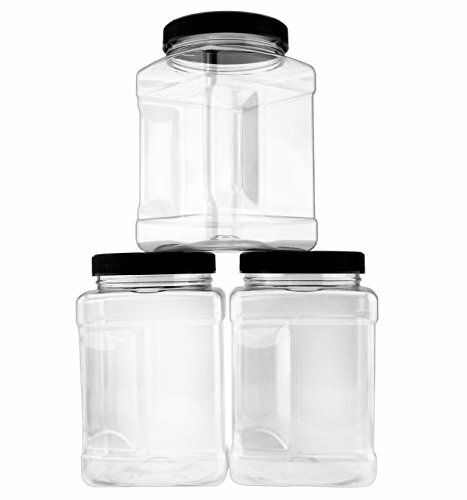 The BPA-free, large-capacity container locks into place and can be removed for easy cleaning. The Countertop Cereal Dispenser holds up to 5.5 quarts of cereal, granola, oatmeal or your favorite snack and is sized to fit neatly on countertops. From Mise en place to serving yogurt parfait, you'll be bowled over by what you can do with this set. A sweet place to start: keep candy on the counter for guests (or yourself!) put out chocolate chips for your family's next ice cream party melt milk chocolate in the microwave for dipping fruit double-boil dark chocolate for ganache and that's just chocolate! the possibilities are endless. The OXO GOOD GRIPS Cake Tester is the perfect tool for gauging when cakes are ready to come out of the oven. Insert the stainless steel wire into the center of your cake; if it comes out clean, the cake is ready. No more wasting toothpicks or wooden matches for this simple task. 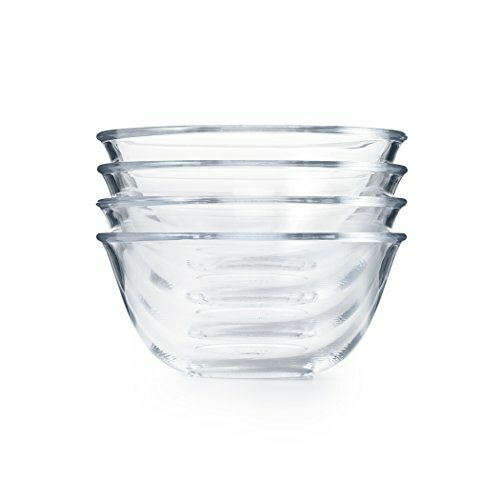 A soft grip is comfortable to hold, and the Cake Tester is dishwasher safe. 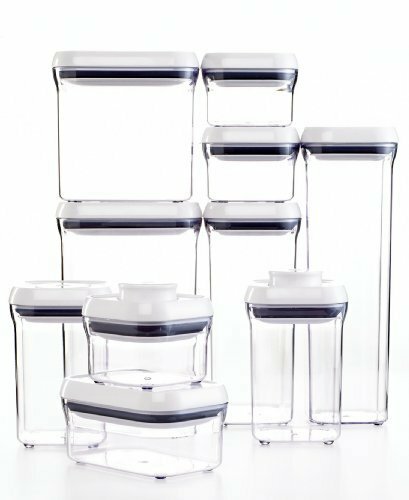 Oxo Good Grips Assorted Pop Container Set 10 pc.